Moving around has its ups and downs, but it sure is easier, when you’re a single or a couple. Whenever a family has to make a decision about becoming expats, one of the first things to consider is wellbeing of the kids. But is relocation with children really as difficult as it seems? Our first move with a child came, when we lived in Germany and were given an opportunity to move to Shanghai. To be honest, I was not sure about it. Our daughter was only 1.5 years old - is it too early to move? However, I’m glad that we did. I found a lot of help online from a community of expats in Shanghai. And our daughter totally enjoyed it! She found friends, felt at ease chatting to nice Chinese ladies in a language known to her alone and grown to love some of the food specialities. Our children often have a more open minded attitude, allowing them to appreciate their new home without getting concentrated on difficulties. To encourage those of you still considering expat life to take a leap and dive into this adventure, I talked to several expat mothers, asking them about their experiences of relocating with kids. Tell us more about your kids: where were they born? They were all born in Italy although we were already living abroad. How many times they moved already? My eldest daughter (7) and middle daughter (5) has moved 4 times (UK, The Netherlands, Germany, Australia) my little boy (2) has moved twice (Germany, Australia). Were there any problems with kids’ adjustment to a new place? I wouldn't call them problems, just getting to know new kids at school and being a bit shy at the beginning. Making friends is not a big deal for young kids. Even learning a new language wasn't a huge obstacle for the kids in the Netherlands or in Germany as they were still little and playing is a universal language. How did you manage to help them? As parents we reassured them that it was normal feeling nervous and every child is like that on their first day at school. Learning a new language has been pretty quick for them, listening to the same routine instructions everyday made it kind of easy in their lives. In Berlin they went to a bilingual kindergarten (English/German) at least at the beginning they could communicate easily with their teachers. Do they attend local or expat schools? My girls are now attending the local primary school in Melbourne, no need for an international school at the moment. They love their school and my eldest daughter has also acquired an Australian accent. My little boy is at home with me, speaking Italian but getting used to English too. Are their friends locals or fellow expat kids? Their friends are locals, there aren't many expat families in our area. How do you make sure they still feel invloved in their heritage culture? We meet up regularly with other Italian families living in Melbourne (there is a huge community), we speak Italian at home and at the moment I'm involved in setting up a group for Italian families who want their kids to stay in touch with our culture. Would you say, they have become TCK’s, evolving between various cultures? I wouldn't label them with TCK or any other. They have moved so many times in their short lives that they don't really think they belong to any place or culture. If you ask them, they would say they are Italian but also a bit Australian at the moment. What tips could you give to expat parents? Let your kids enjoy, explore, get into the Country where they are living right now, let them choose which language they want to use, never force anything to them. Nonetheless make sure you inspire them, get them curious, inquisitive about your culture and your language. Get yourself passionate about your culture/language through songs, books, recipes etc.. and your kids will happily follow you. 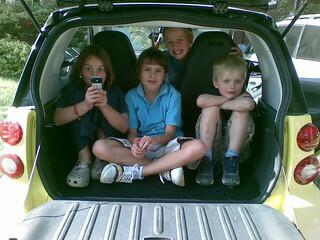 You can read more about the life of this expat family on Moving Around Mum blog. 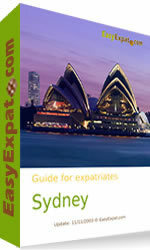 And if you are considering a move to Australia, please, visit EasyExpat.com's guide to this country for loads of useful information!